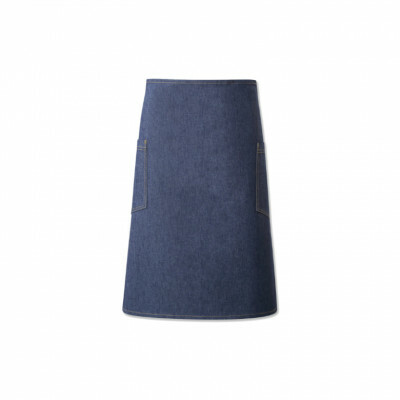 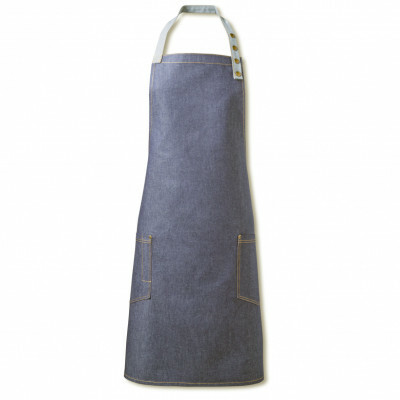 Our entire range of front of house, denim and chef aprons in one place. This page showcases the versatility, unique styles and functionality of all our aprons, from our durable chef apron styles to our stylish, rustic denim apron range. 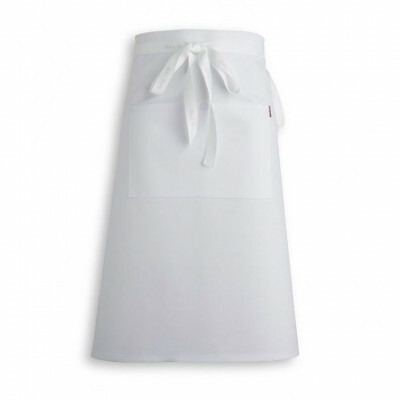 You can be sure to find what you need here; each apron is also eligible for our embroidery service. 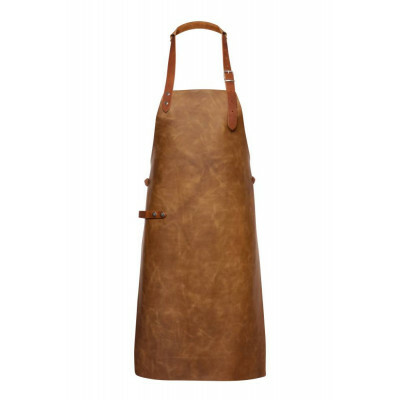 A Premium Chef Butchers Bib Apron With Cloth Loop. 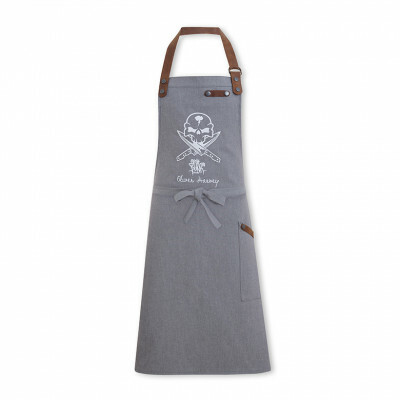 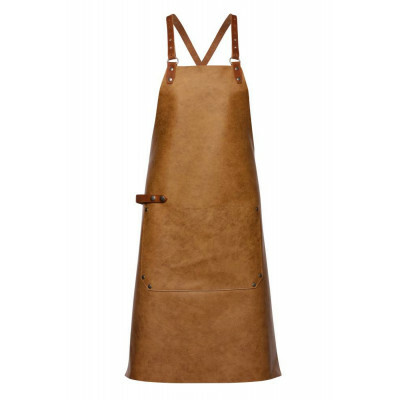 A Premium Chef Butchers Bib Apron With Adjustable Strap. 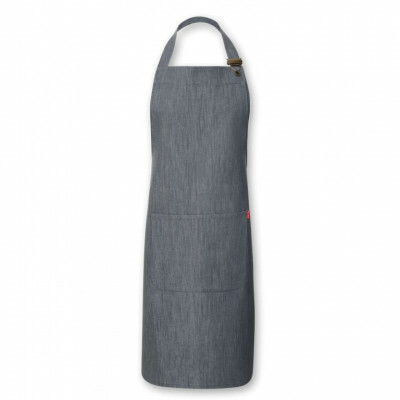 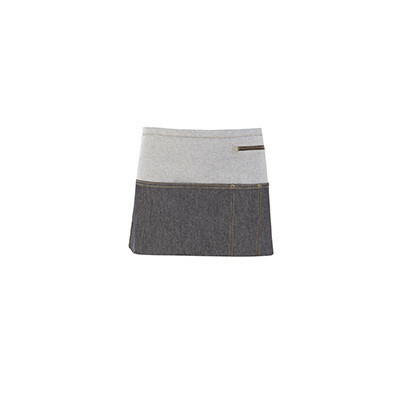 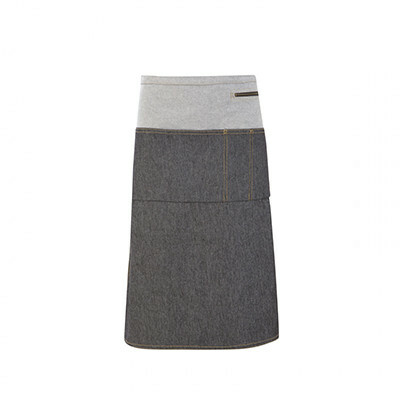 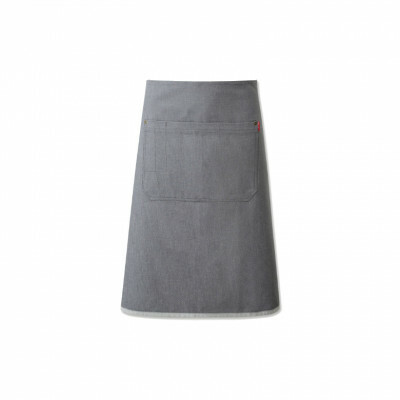 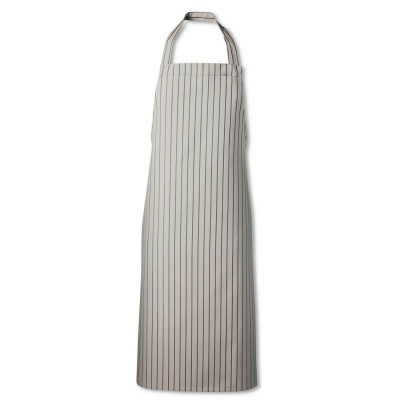 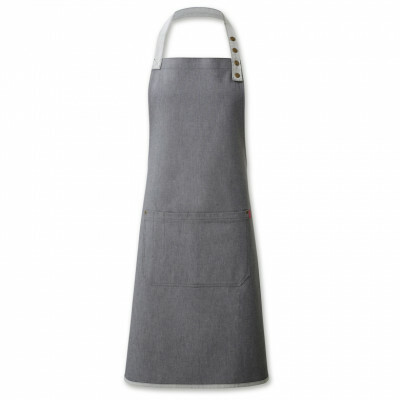 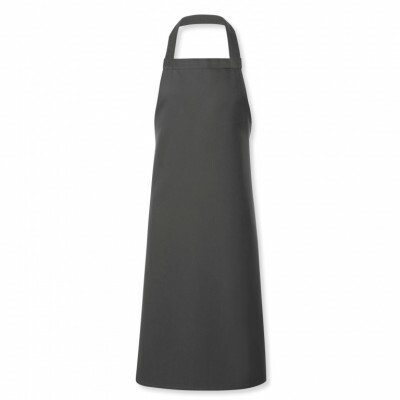 A Premium Chef Grey Bib Apron With Cloth Loop in two Lengths. 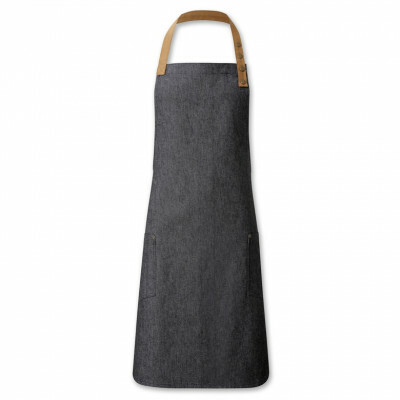 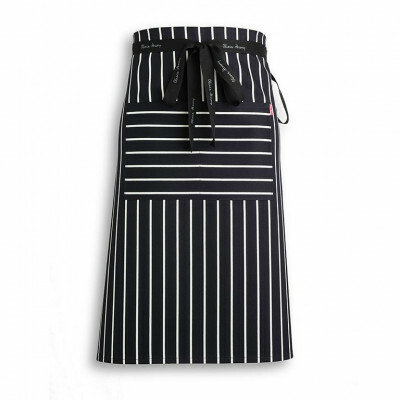 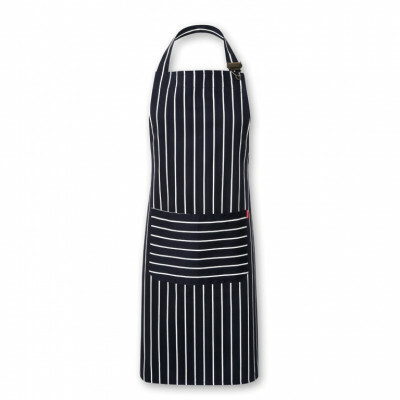 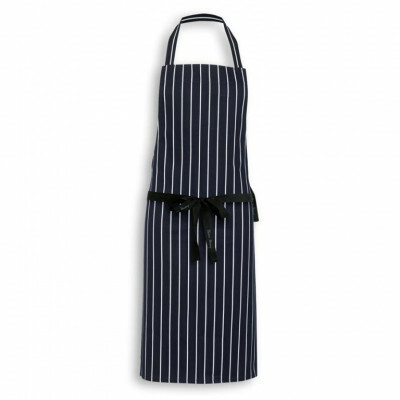 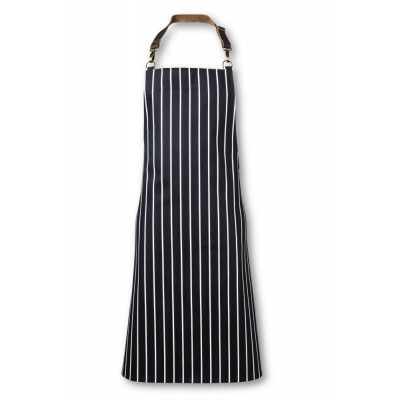 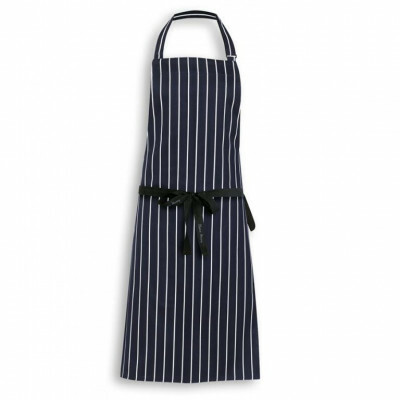 A Premium Chef Navy Bib Apron With Cloth Loop in two Lengths. 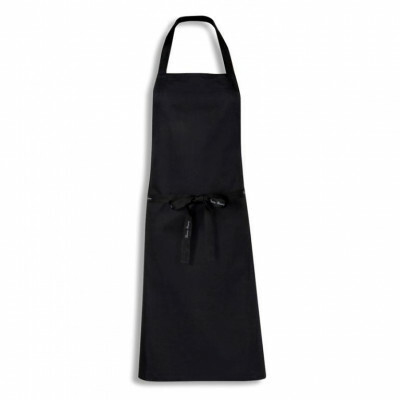 A Premium Chef Black Bib Apron With Cloth Loop in two Lengths. 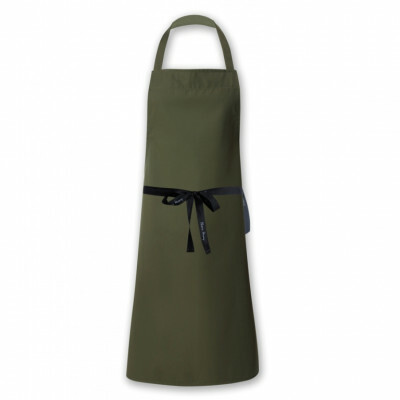 A Premium Chef Olive Bib Apron With Cloth Loop. 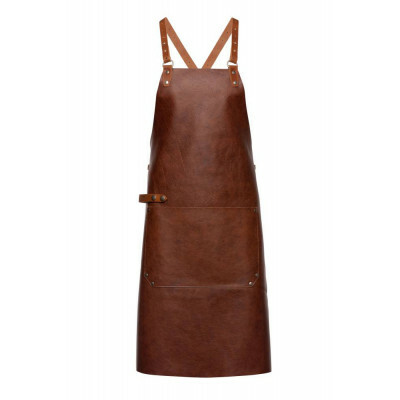 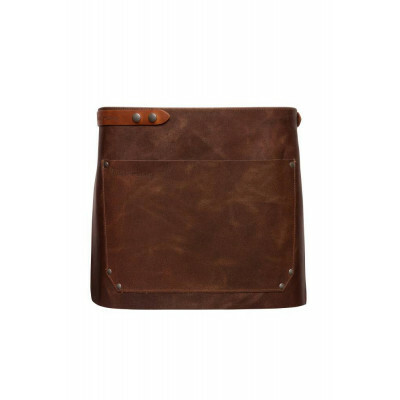 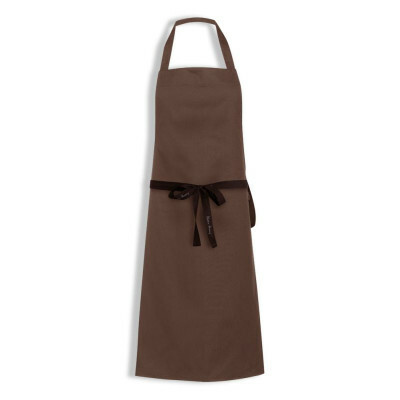 A Premium Chef Brown Bib Apron With Cloth Loop. 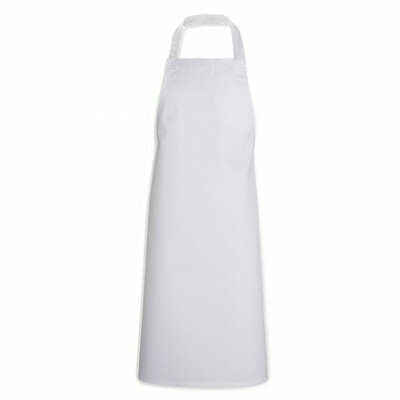 A Premium Chef White Bib Apron With Cloth Loop. Oliver Harvey vs Fat Punk Studio Premium Denim Apron. 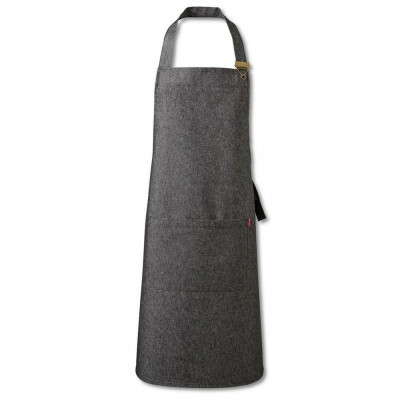 Oliver Harvey vs Fancy Gents Premium Canvas Apron. 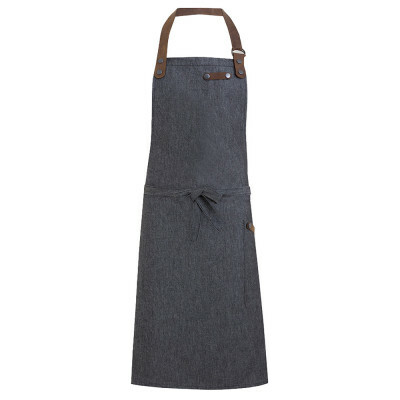 Oliver Harvey vs Fancy Gents Premium Denim Apron. 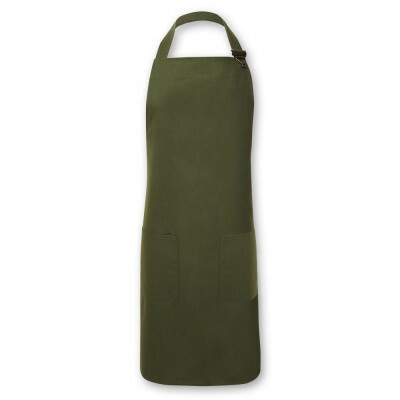 A Premium Chef Bib Apron Made With Ripstop Fabric. 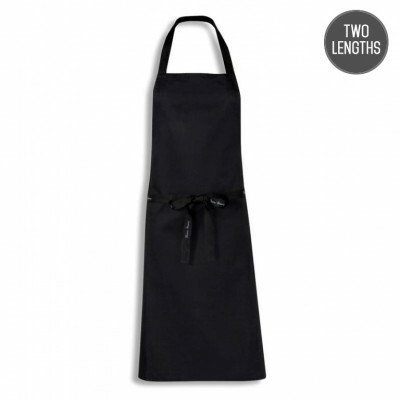 The apron is one of the simplest yet most important pieces of clothing chefs or front of house staff should wear while working, yet this does not mean that it is the simplest item to manufacture. 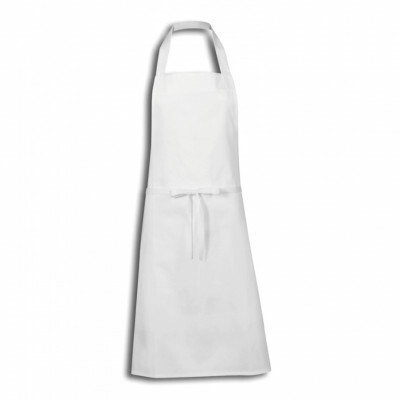 Our range of bib and waist aprons have an emphasis on quality and lifespan to provide you with the very best aprons available. 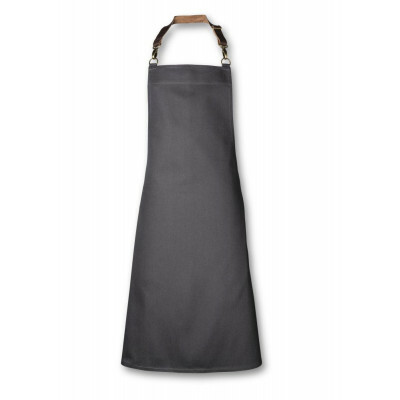 When we first set about designing our aprons we wanted to try and improve this basic product to a level where we offer small touches that make life easier for chefs. 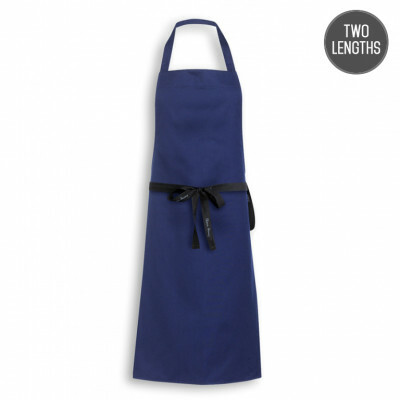 The first addition that we made was a cloth loop sewn onto the side of our aprons so you always have your cloth on hand at all times without the need to tuck it into your ties. 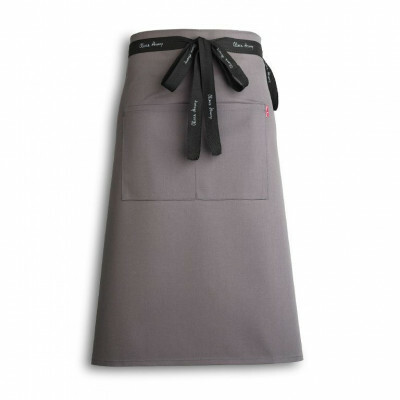 We also made sure that we created a high quality non tangle tie for our chef aprons to avoid any annoying knots forming. 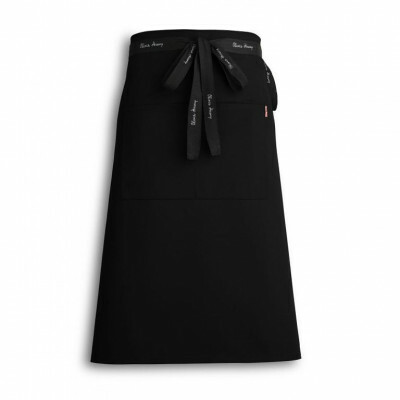 We believe these features provide a unique appeal to our aprons and also represent our commitment to attention to detail, while also adding a touch of style often unconsidered on aprons of its kind. In terms of front of house aprons, we set out to achieve two goals: make the aprons as stylish as possible, and also make then as practical as possible. We understand the need for an apron to be functional while on the job, but that doesn’t mean we have to compromise on style: quite the opposite. 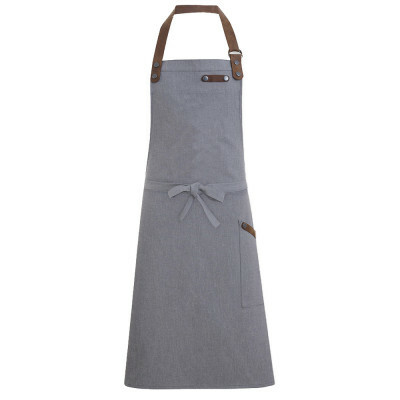 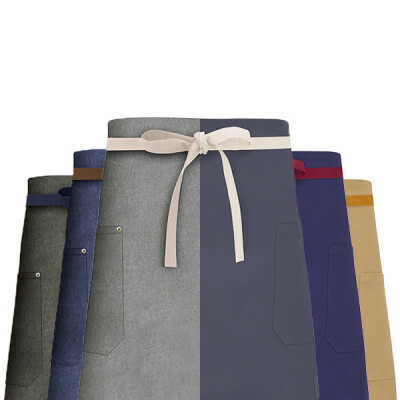 We offer aprons made from a variety of different fabrics, such as our ever-popular denim range and our linen range, and also aprons with distinctive style features, such as the concealed stud halter bib apron. We offer many of our aprons as both bib and waist styles, meaning you can pick and choose what apron would look best for you. 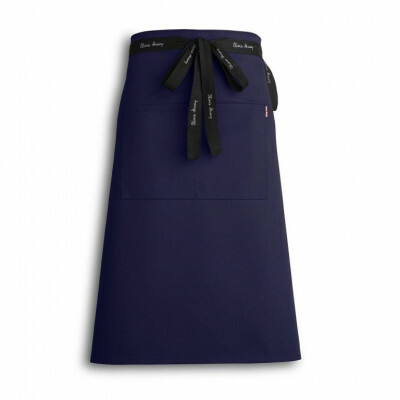 We also advise you to explore the option of using our personalisation services; embroidering a logo onto your aprons that represents your brand sets your uniform apart from the rest. 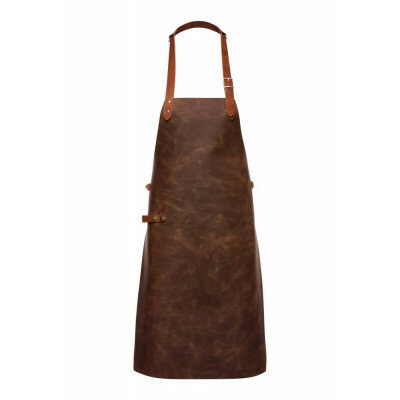 While we have a significant range of aprons to choose from, we urge you to get in touch with us if you want something that you cannot see. 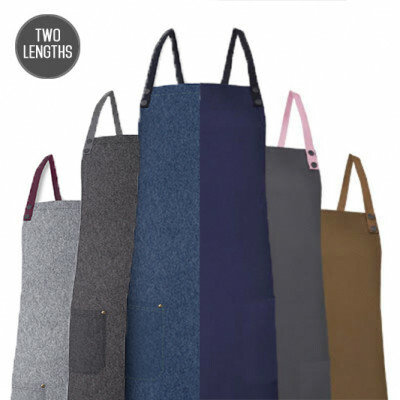 We can manufacture a bespoke style for your restaurant on request; whether this be new colours, styles, pocket configurations or fabrics. 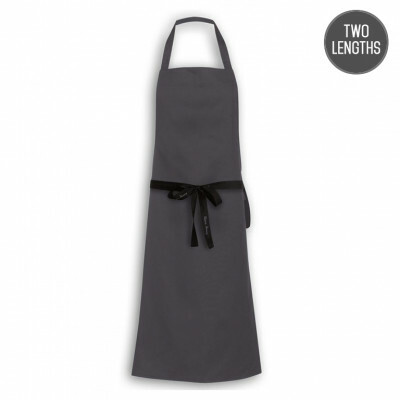 This is one of the strengths of our commitment to British manufacturing; total control and flexibility of production.